Shimano 600 headset stack height? Thread: Shimano 600 headset stack height? Can anyone help me on two fronts? First I'd like to know what the stack height is for this headset. Shimano 600 off an 88/89 Merckx. No way to know if it is original but typical 7-Eleven mercks bikes came with Dura Ace or Campy. Mine had a mix of Campy c-record and DAce 7400 except for this headset. I'd also like to know the stack height of c-record era headsets such as c-record, Chorus, Athena, etc. I seem to remember these 600's being on the small side and wondering if I am stuck with this headset sort of getting new fork. My current fork's chrome is super nice so I don't really want to search for a longer one. If I can't fit an older campy headset due to height differences anyone know if a Chris King would work? EDIT: Found the CKing height their "grip nut" version has a stack height of 33-38mm. Still can't find 600 stack height info. Last edited by rplace13; 05-19-2014 at 12:36 PM. You can measure it, right? This site explains how. 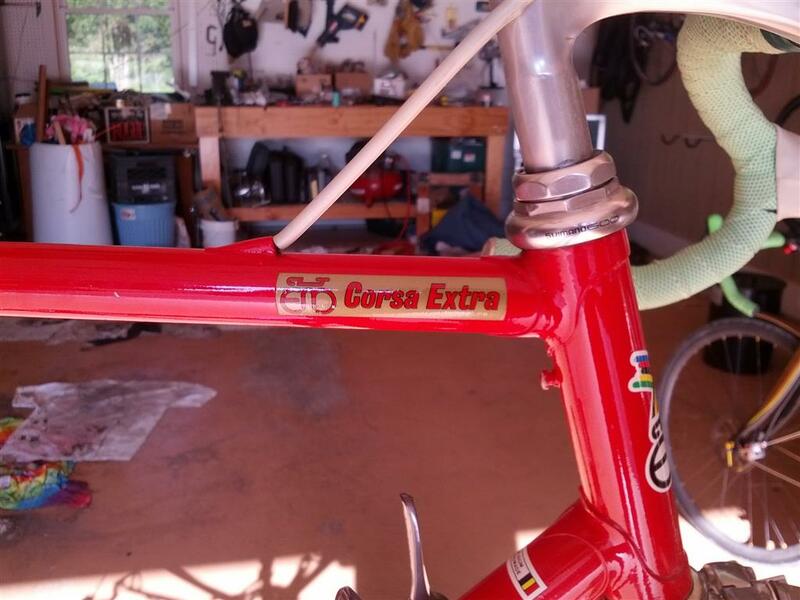 ^^^^ +1^^^^ That's a nice website for those into restoring vintage bikes. What is the lower stack height of this headset? Shimano publishes all of their technical documents, and even has old ones scanned in. damn. looks like a grail bike with a short steerer. stack height for '96 record headset?